Spine-tingling terror from horror writers around the world. 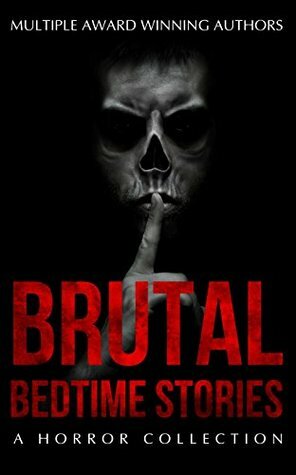 Dozens of diverse short stories containing gruesome murders, supernatural mysteries, grotesque hellscapes, and deranged psychopaths to keep you up at night. Surprise twists ensure you keep guessing until the last page. I was pretty excited when I was approached to review Brutal Bedtime Stories. I had reviewed for Tobias Wade before and I enjoyed the two books that I read. While I was unfamiliar with the other authors, I was pretty excited to be reading more from Tobias. So I said yes to the review. I am glad I did because this book was fantastic. Like I stated above, I was unfamiliar with the other authors…..David Maloney, Hayong Glenn Bak, and Kyle Alexander. Now that I have read this anthology, I will be looking for more books by those authors. All are very talented writers. I don’t scare easily and this book had me not wanting to go to sleep. A book that can do that to me is a book that I will recommend to everyone. So, to repeat what I have said in this review: Go read this book. It will not disappoint!! I would like to thank Tobias Wade for allowing me to read and review Brutal Bedtime Stories. All opinions stated in this review of Brutal Bedtime Stories are mine.